Individual taxpayers who obtain Premium Tax Credits from the federal government to subsidize health insurance plans purchased on government healthcare exchanges under the Affordable Care Act (ACA) will be filing 2017 tax returns to claim these credits. This can trigger tax penalties for the employers. The IRS reports that eligible taxpayers who choose to obtain advance payments of the premium tax credit (PTC) sent directly to their insurer during 2017 must file a federal tax return to reconcile any advance payments with the allowable premium tax credit. Taxpayers who enrolled in health insurance through the Health Insurance Marketplace (Healthcare.gov and other state-operated exchanges) in 2017 and did not receive the benefit of advance credit payments may be eligible to claim the premium tax credit when they file. The IRS provides an Interactive Tax Assistant to help these individuals determine if they qualify for this credit. When these taxpayers include PTC information in their 2017 tax returns, that triggers the IRS to compare that information to information filed by employers on their IRS Forms 1094-C and 1095-C. The information is compared. If the IRS finds a match, that can lead to the employer receiving a Letter 226J notice. Letter 226J is the communication sent to employers that have failed to comply with the ACA’s employer mandate. It provides the general procedures the IRS will use to propose and assess the Affordable Care Act’s (ACA) employer shared responsibility payment, or ESRP. 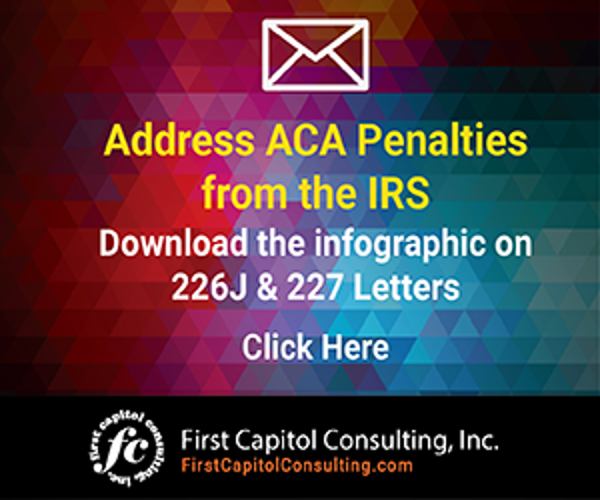 So far, Letter 226J notices have been sent to employers for IRS filings related to the 2015 tax year. ESRPs have been in the millions of dollars for some employers. It’s only a matter of time before the IRS starts sending Letter 226J notices to employers for IRS filings for the 2016 tax year, and, then, eventually, for the 2017 filings that are due on April 2. You can learn more about 2018 filing dates for submitting 2017 tax year information by clicking here. The best way that employers can avoid receiving erroneous ESRPs is to be sure that accurate information is being submitted either directly or through outside help. One thing to consider is conducting a 1095-C audit. 1) Review the number of full-time employees by looking at their W-2s. Compare that to your total employee count. That may give you a rough estimate of the number of full-time and part-time employees you have in your organization. You want to be sure that 95% of full-time employees have been offered health insurance. Under the ACA, a full-time employee, in general, is an employee who, on average, works at least 30 hours per week, or at least 130 hours in a calendar month. A full-time equivalent employee is a combination of employees, each of whom individually is not a full-time employee, but who, in combination, are equivalent to a full-time employee. For example, two employees who each work an average of 15 hours per week are equivalent to one full-time employee. 2) Review your summary of benefits and coverage and monthly contribution rate sheets. These steps are important to determine if you have offered employees health insurance that offers minimum value and is affordable, as defined by the IRS. 3) Review the waiting period for employees to start receiving insurance benefits. There is a 90 day maximum allowable waiting period. A full-time employee who is not offered insurance by his/her employer and receives a PTC for obtaining healthcare coverage through the Healthcare Marketplace, can trigger an ESRP that could place your company at risk for significant penalties. The larger the number of employees in your organization, the more these ESRPs can add up to a significant tax impact on your business. 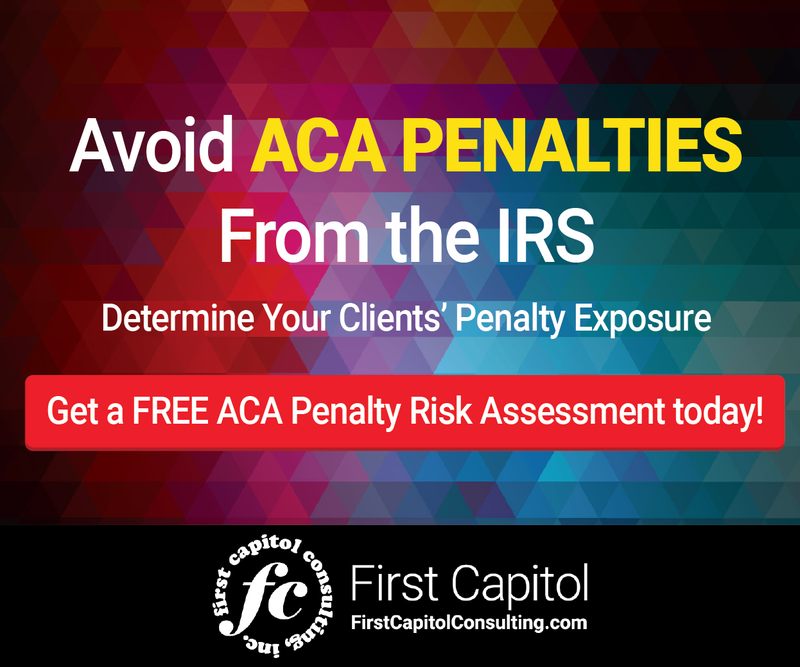 A 1095-C audit can help your organization avoid these penalties by catching errors before they are filed with the IRS. If you feel that undertaking a 1095-C audit may be too onerous for your organization on its own, consider hiring outside help. Some will provide a free spot audit that will help you determine if there could be a problem that needs to be addressed. It’s a worthwhile step to take that could avoid the potentially huge time and expense to respond to a Letter 226J. To have a better understanding of what responding to a Letter 226J might entail, click here. Individual taxpayers who obtain Premium Tax Credits to subsidize health insurance plans purchased can have significant tax penalty implications for employers. Learn how.